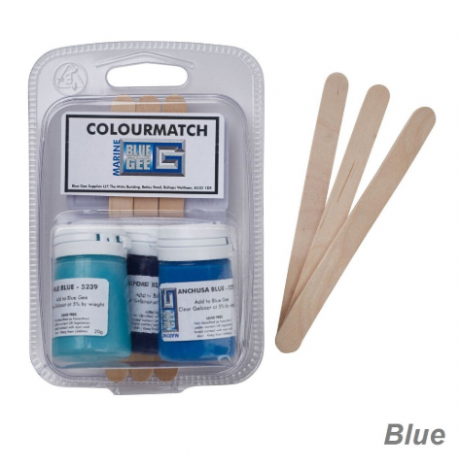 Blue Gee 20g Gelcoat Colourmatch Pigments - 3 Pack. For use with Blue Gee white polyester gelcoats. Mix ratio at 5% to a max of 10%. Available in both the red and blue kits: The blue kit contains Pale Blue, Anchusa and Oxford Blue 20g pigments. 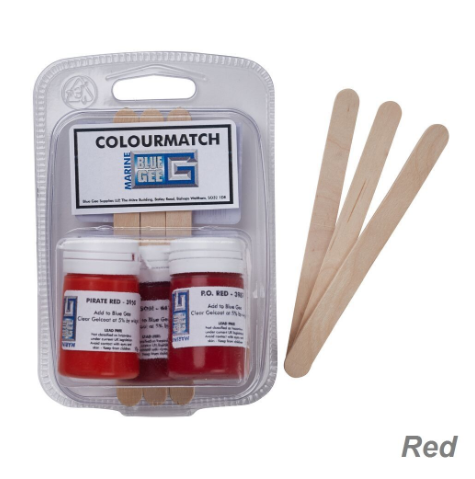 The red kit contains Pirate Red, Crimson and Red 20g pigments.